Exciting games in the outdoor court and a fun-filled splash pad for the kids, as well as ample entertainment and fitness for the grown-ups. 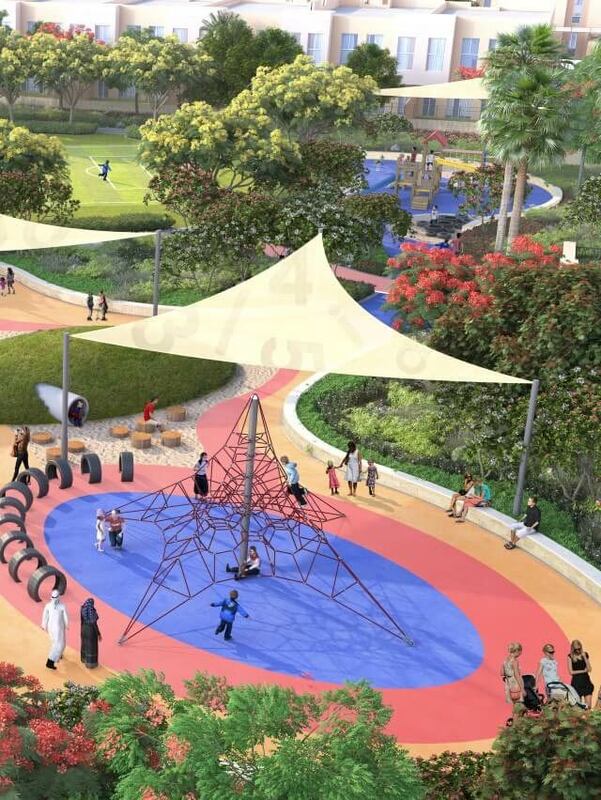 An outdoor court for kids along with a fun filled splash pad, as well as an amphitheatre and fitness stations for adults. Treat your senses to a fun and educational experience with interactive sculptures, sensory planting, and open-air theatres. An amazing variety of activities to enjoy such as the high line walk, rock climbing and tunnel trekking. Fun filled adventure awaits with activities such as the high line walk, tunnel trekking, rock climbing and so much more. Let your inner artist shine out with sculptures, mural walls, play elements, and art exhibitions.